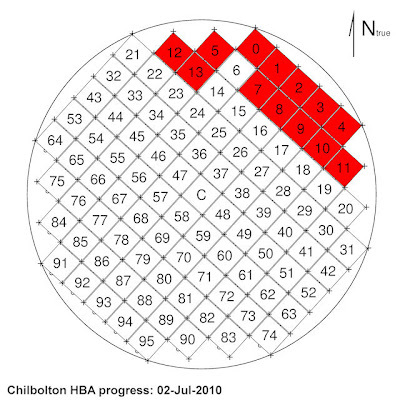 lofar-uk: HBA progress - 13 tiles installed. Like we did during the LBA installation week, we will be posting progress updates on days that HBA tiles are installed. So here is the progress map for the LOFAR HBA antenna installation. Today's progress is marked in red.